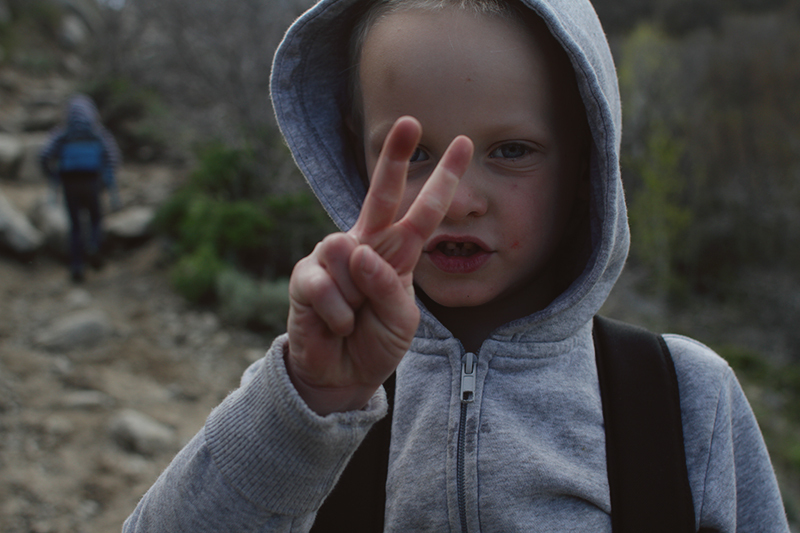 Last weekend, Travis and I took the boys on a hike together. 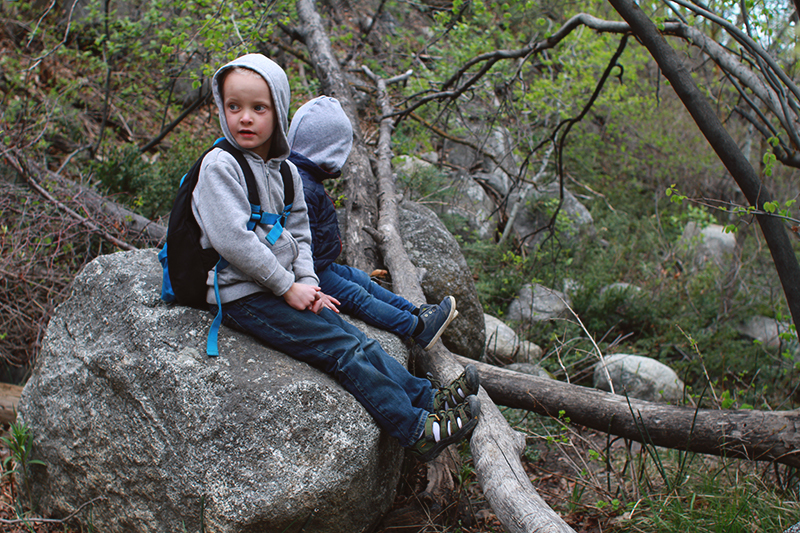 I usually take the boys hiking by myself at least once during the week, more often than that during the summer. So having an extra adult with me felt like such a treat! 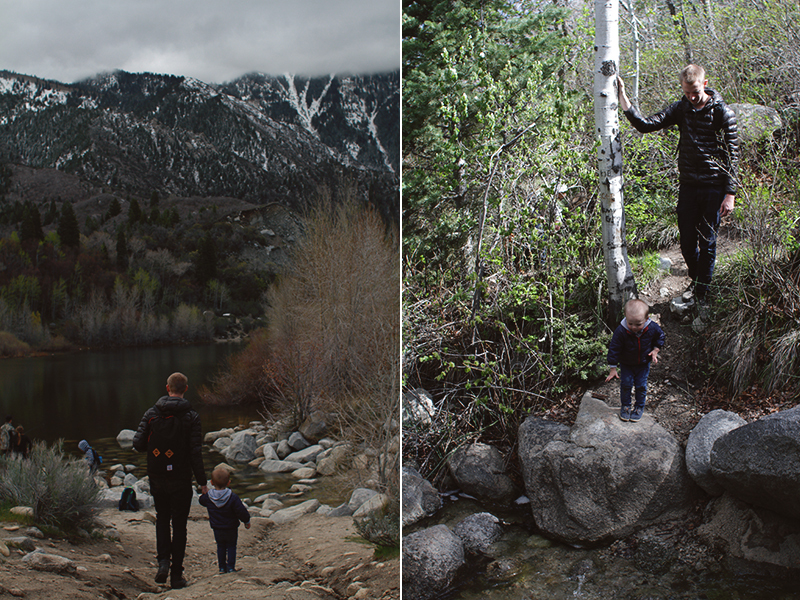 I was able to focus a lot on hiking and taking pictures and running ahead with the big boys (they're currently OBSESSED with trail running), while Travis hiked with and focused on the littlest man-child. Turns out, when I have another helper to keep everyone happy- the boys are more than willing to hike for five miles or more without whining, while I can usually only get them through three or maybe four by myself. This was a beautiful hike! I love spending time with with my little family in the mountains- especially when the result of such hikes is that everyone is tired enough to take naps when we get home! We hiked on an overcast and chilly day, but the mountains were so pretty wreathed in mist that it was totally worth it! And the river (which is usually dry, or almost-so) was rushing and full. We had so much fun just climbing and exploring the river. I love the above picture so much. 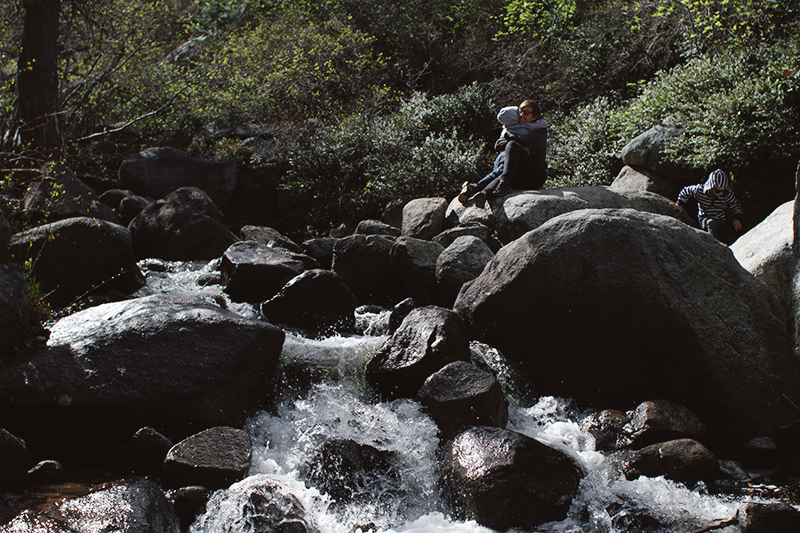 The boys and I climbed over rocks to check out the river a little further upstream. 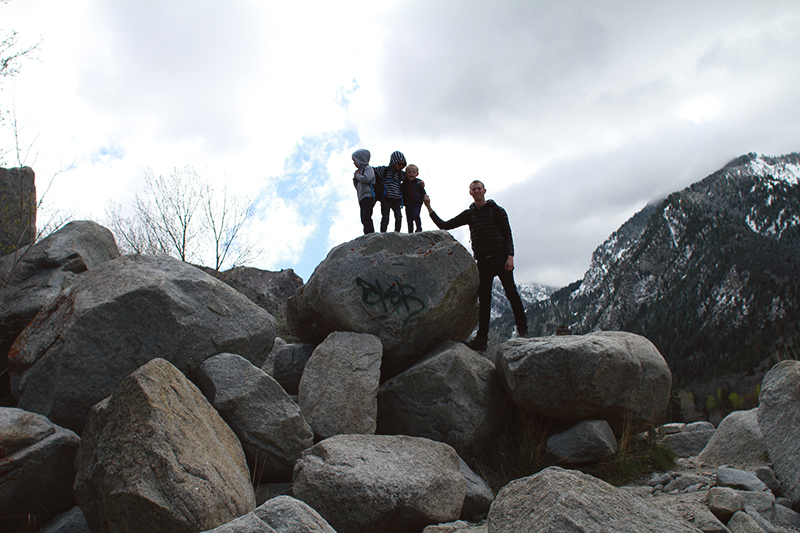 I finally settled on a rock while Grey and Micah climbed and explored around me. Grey scrambled over the rocks and gave me a huge hug before disappearing again into the brush. I'm so happy Travis captured it! Snatched Grey mid-sentence describing what deer tracks look like. We saw a lot of tracks, but we are SIGNIFICANTLY too noisy to ever see any actual animals in nature! August loves his dad, and he loves hiking! 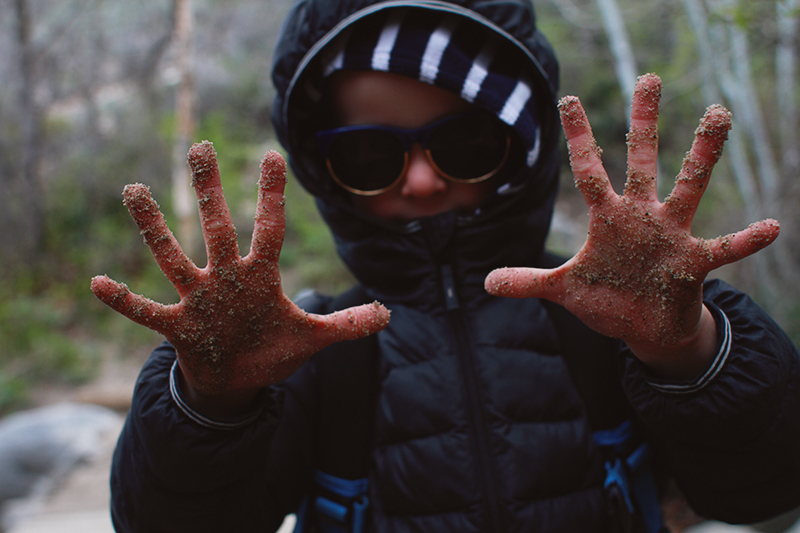 As long as he had a steady hand to hold on to when he scrambled up and down rocks, he was happy to hike the whole way up and down by himself! 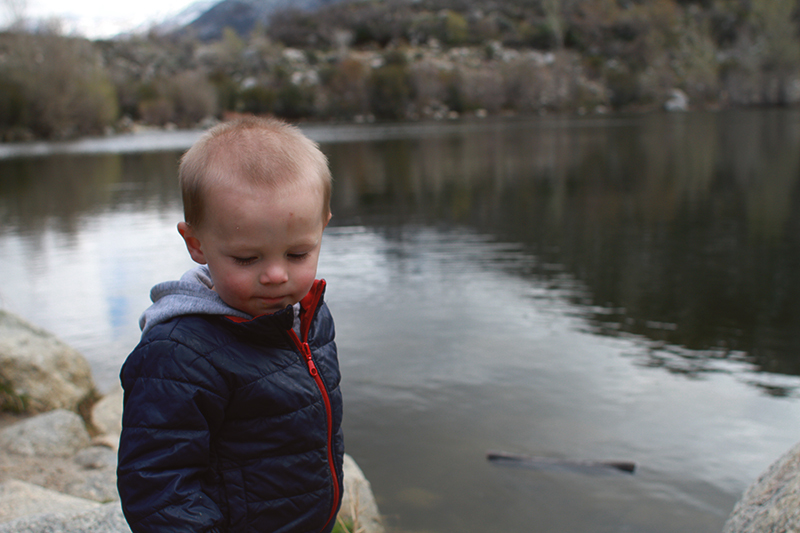 It helps when he gets lots of breaks to throw rocks into water. 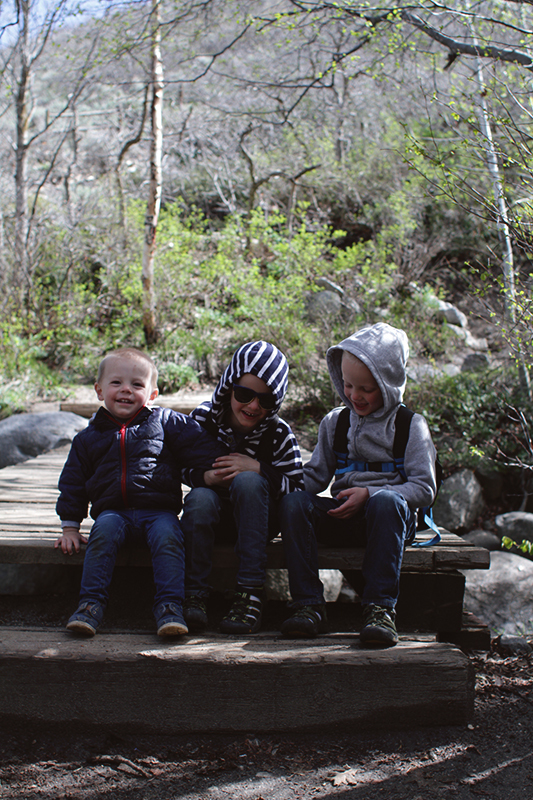 I Love these boys and they love hiking! Ohhh It looks so beautiful! I want to now go hiking in a high chilly mountain! Oh wait, we don't have mountains....boo hoo. Have fun. They would be such good motivator for James and Finn. I want to get my family into hiking this summer, but I don't know where to start. 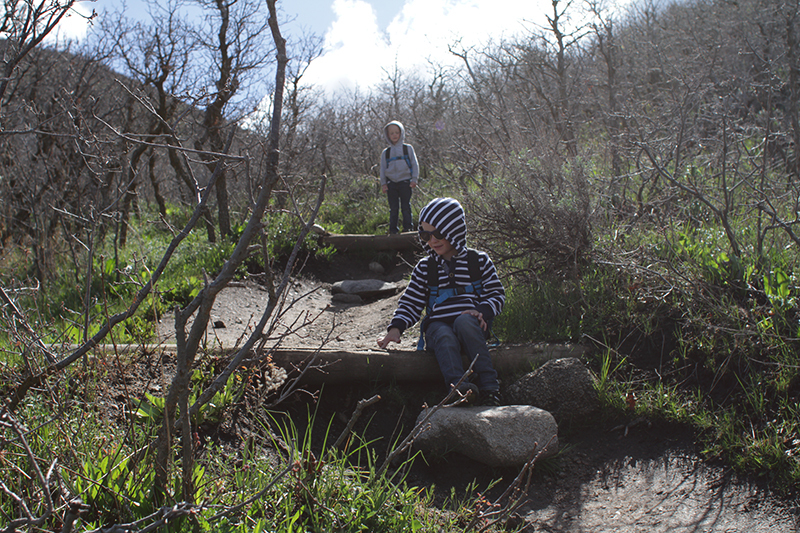 Do you have favorite hikes in the Salt Lake area? Are you always going somewhere new, or do your kids like to go back to the same places? I have 4 and 5 year olds, is there anything I should make sure to bring? Thanks! We go to lots of new places, but my kids have a few that they like and request. I would get your kids each a backpack with a water bottle and like 6 different snacks. Then every time they get whiny, you can say "Let's find a good place to stop and everyone can have a fruit leather or a cheese stick!" That's our number one motivator. 😉 I also feel like the best hikes for kids are not paved, but have lots of rocks to climb and trees to explore! A few favorite (shorter) hikes: donut falls, cecret lake, Lisa falls, silver lake (which is mostly board walked, but still fun) and Ferguson canyon. 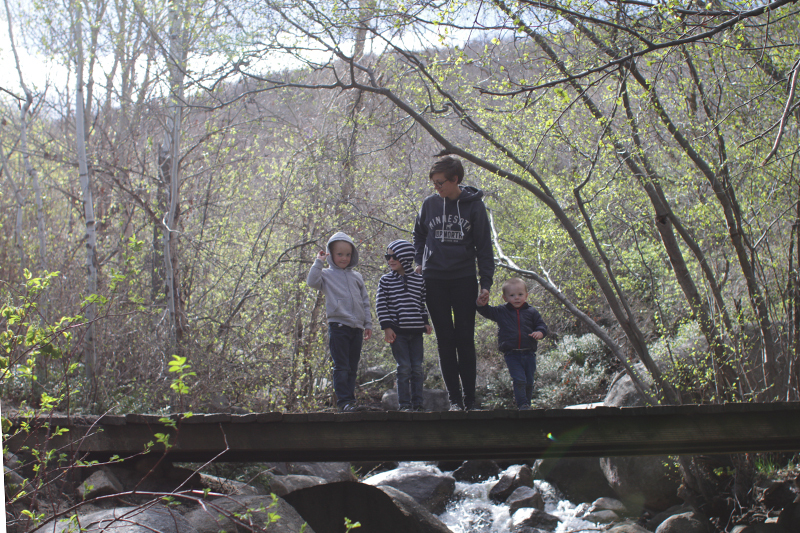 My kids like hikes more if there's a payoff at the end (like a waterfall!) but we often turn around before we make it if they're too whiny!